Early morning Guided walk. See unique planets and wildlife of Rawnsley Bluff. 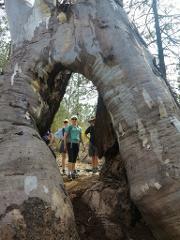 An extended version of the loop walk. 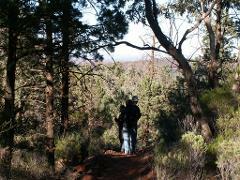 Walk to the rim of Wilpena Pound and marvel at the magnificent views of Rawnsley Park Station and the Flinders Ranges. Welcome to South Australia’s giant backyard – the spectacular Flinders Ranges. A land reshaped constantly over hundreds of millions of years by the powerful forces of nature. And the best way to take it all in is on a guided walking tour. 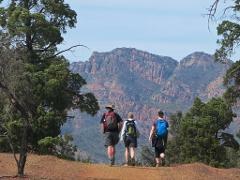 Welcome to South Australia’s giant backyard – the spectacular Flinders Ranges. A land reshaped constantly over hundreds of millions of years by the powerful forces of nature. And the best way to take it all in is on a walking safari.